There are many female volunteers in Syria’s National Defence Forces (NDF). One of them is Roaeda, a former university teacher who is now holding a sniper rifle instead of teaching students. 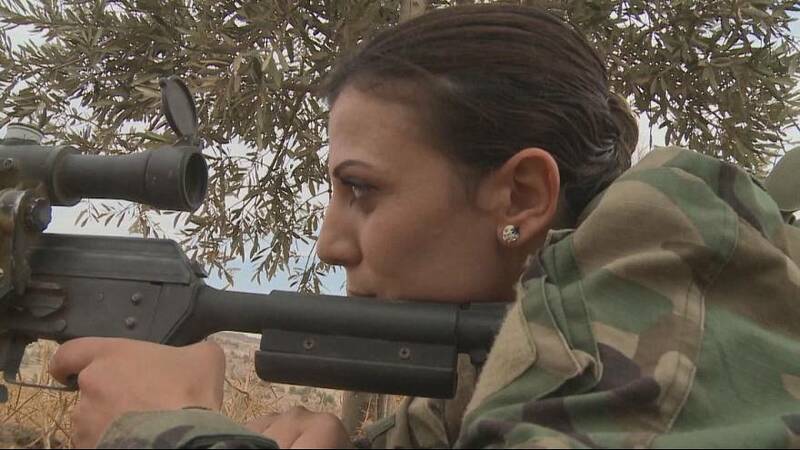 Roaeda is the only sniper among the female volunteers in the NDF. She is also the only teacher who has chosen to go to onto the battlefield. “All the trainers said I should become a sniper as I can shoot with high accuracy,” she explains. The NDF was founded by the Syrian government to alleviate the shortage of soldiers during the long-lasting war. Roaeda gave up teaching a year ago and has since faced members of the al-Qaida-linked Nusra Front in East Salamiya and says she is determined to carry on fighting until there is peace in Syria.